Is there anyone out there who hasn't worried? We all worry from time to time. Some of us more than others. There always seems to be something to worry about, but how do we stop it. How do we keep it from taking over our lives, because not only does worry not add a day to our lives, it can actually shorten out lives by negatively affecting our health. I am a worrier so I know that it can be hard to let it go. Those of you who have been with me for several years know that I had two knee replacements. The first one was five years ago and the second one was eight months later. After many years of living with terrible pain I was finally pain free and able to live again. Last week however my left knee started to hurt and became swollen. Of course I started to worry, but I decided to be proactive and this Wednesday I have an appointment with my orthopedic surgeon. 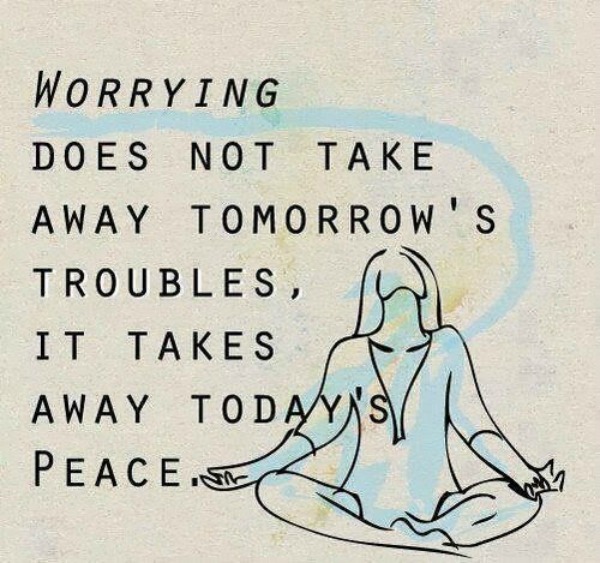 Taking action has been one tool that I have learned to use to combat worry.It helps me to feel in control of whatever is causing me to worry. Realistically I know that I can't always control a situation, but taking steps to help alleviate whatever is worrying me is a good first step. I know that I have no way of knowing what is wrong with my knee. I am not a medical professional and it could be anything from a sprain to a failure of my implant. However, calling and making the appointment was a good first step, and I know whatever the diagnosis I am strong and I will live with it. The more we worry about the future the less we are able to enjoy the present. I know that I would rather enjoy the moment and take action to ensure a better future. 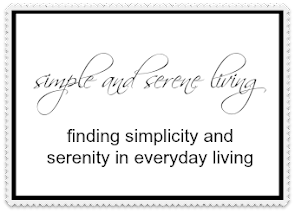 In the weeks ahead I plan to address worry and other ways to cope with and counteract it. You can find more of Inspiration on a Monday here. 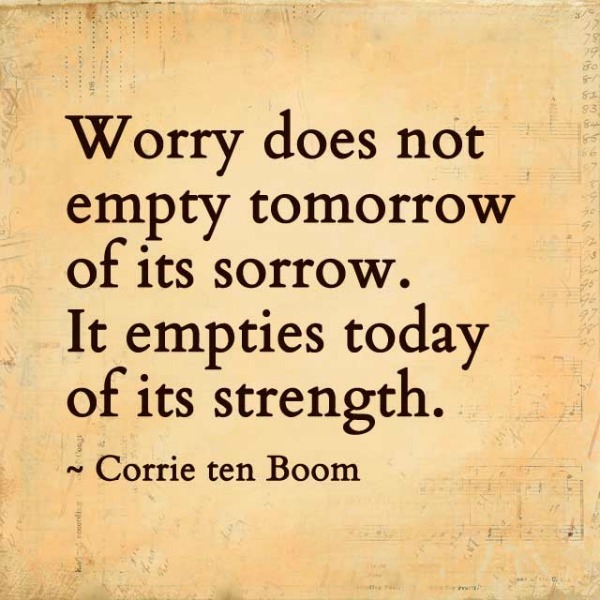 Love, hugs & prayers for you dear Laura ~ I also deal with worry. My desire is to "cast all my cares on Jesus, for He cares for me/you/us." Worry is a fruitless activity, but I also do it from time to time. I think we all do. 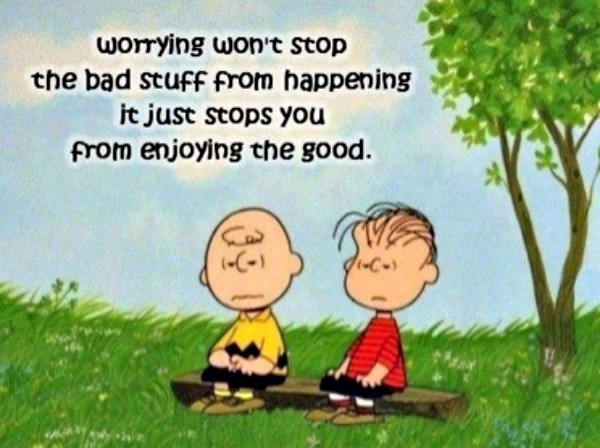 I have had to fight being a worrier all my life. I know it causes me more stress then I need. Still working on it and hoping I can worry less and stress less. Hugs to you! The appointment is made, and you will get it sorted. I admire my niece - she has a health issue - makes an appointment - gets it done and dusted - while I am still finding the courage to pick up the phone already!! Taking action,yes it helps with worry.Have to remaind my self to take some action next week. I find hand yoga mudra,could be done anywhere and it is a very easy to learn and do.Helps to combat worry and is beneficial Wishing you all the best.